Lubemobile is Australia’s #1 fleet of mechanics operating on site wherever you need us to be. Our professional mechanics are completely mobile carrying out repairs and service work entirely on site, when you want us to be there. If your car is located in Carina then we travel there and complete all work on the spot. There is no need to arrange transport home from the workshop or another way to get around while your car is getting a service. 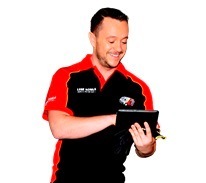 Our mobile mechanics are operating everywhere including Kangaroo Point, Taigum and Coorparoo. That means you can get your car repaired or serviced at work, at home, at the beach, wherever you plan to be. Over 2,139 vehicles have been attended to already in your area recently. Mechanics have completed centre bearing replacement , on-site tyre replacement from our fleet of specialist tyre services, and finding fuel blockages. The most common vehicle services in your local area have been Log book servicing. No matter what your vehicle type including Chrysler or Subaru, on of our 38 vehicle specialists in Brisbane Metro will service your vehicle to industry leading standards. Our recently serviced clients have provided over 49 positive reviews from the Brisbane Metro region. Your mechanic will arrive at your preferred location with everything they need to service your vehicle. When we say ‘mobile mechanic’ we really mean it. No matter the make and model of your car, we guarantee that the professional who arrives at your job will have what they need to complete a full service, on the spot. Most recently, our mechanics have commonly serviced Toyota, Holden and Ford. All vehicle types are serviced on location so there’s no need to have anything taken into a workshop. Our most recent services in your area have included Citroen, Daewoo and Peugeot. Fully equipped mechanics mean that whatever is required for your vehicle is available quickly. We use only the highest quality parts like thermostat, gearbox and clutch.